I would love to create unique book for your special event. This listing is for a wedding guest book custom made to your specifications. The photos show examples of what is possible. 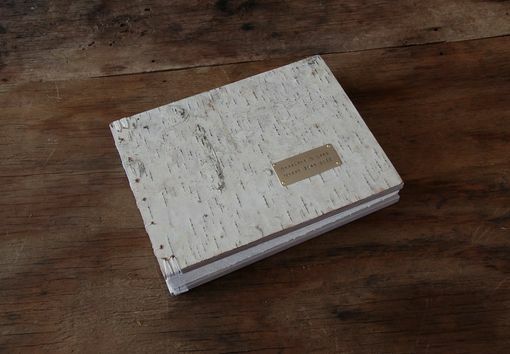 The pictures show a rustic guest book with wooden covers decorated with birch bark. It measures approximately 9 inches wide by 7 inches high with 120 hand torn pages (counting front & back) of medium weight acid free paper. It is sewn in the coptic style with sturdy waxed linen thread complete with headbands and will lay completely flat when open. 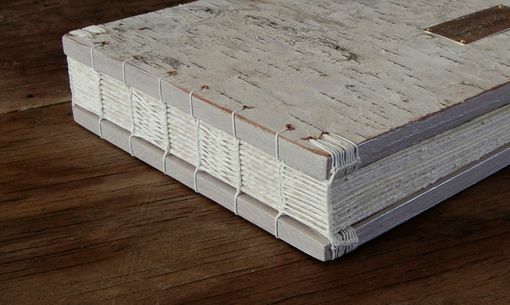 The book is personalized with names and date stamped on a metal plate. The plates are available in brass, copper, and silver. I can make your book similar to this or we can work together to design exactly what you are looking for. The color of the thread, covers and end sheets can be customized to match your wedding theme. 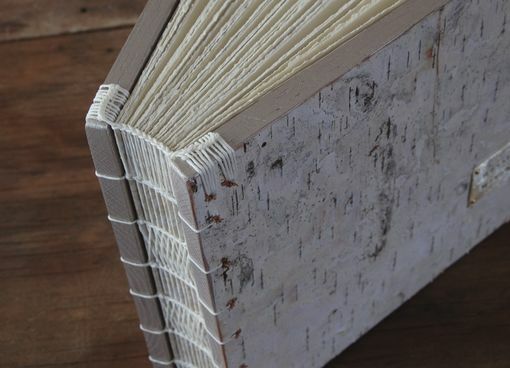 Please note that birch bark is a natural material and there are variations in the color & texture of the bark because of this no two books will be exactly the same. 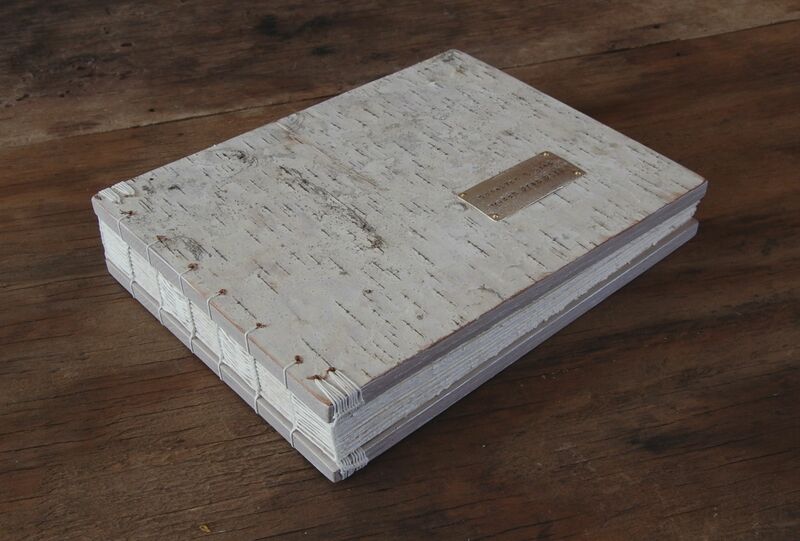 The birch guest book I ordered for my daughter's wedding could not have been more beautiful when it arrived. The care and artistry that went into this book is evident, not only in the book itself, but in the way it was packaged and wrapped for shipping. So grateful for Michelle's work on this project. This will be a lasting treasure for my daughter and her future husband!